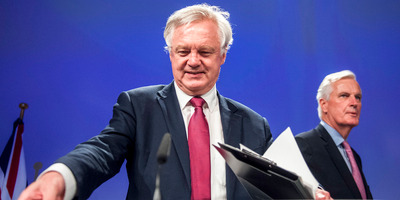 LONDON — In the past few weeks Theresa May’s government has released a deluge of Brexit “position papers” on everything from trade, to the Northern Ireland border, to the future role of European courts in the UK. Most of these have been vague placeholders, written with the apparent intent of appearing to have a clear strategy while continuing to have none. The government’s position paper on the Customs Union, for instance, has all the strategic certainty of a coin toss. May’s government is both in favour of a customs union and against it. Any business looking for a sign of what Britain’s post-Brexit trading arrangements will look like would do as well to visit their local fortune teller as to consult this summary of the Brexit secretary’s long-term thinking. The Northern Ireland position paper was, if anything, even vaguer. On the one hand, it argued forcefully against installing a new hard border with Ireland, yet at the same time offered not a single viable suggestion to avoid it. Yet amid the fence-sitting, there are clear signs that May’s government is finally starting to wake up to the difficult realities of Brexit. Today’s paper on how Britain will interact with European courts after Brexit offers a clear departure from May’s previously hardline insistence that there must be no involvement from European judges in EU law. This policy, which was always unworkable for a country which has the EU as its largest single market, has now been significantly watered down, with May now insisting only that there will no longer be “direct” jurisdiction from the European Court of Justice. The paper instead contains a series of suggestions which leave the door open for a new semi-detached relationship which could still see the UK referring cases to the ECJ, or relying on their rulings. Some of the suggestions put forward today will find favour with Brexit supporters, while others won’t. The hardliners in May’s parliamentary party may well swallow some new form of arbitration body that involves the EU. However, if it follows the Scandinavian model of the EFTA court then it will face much more opposition. But whatever final model May is able to pass both with her own party and the EU itself, today’s paper is a clear indication that the government is finally waking up to the reality of the complex web of legal ties Britain will inevitably continue to have with Europe. And after a year in which the government’s Brexit strategy has consisted of little more than a series of intransigent variations on the slogan that “Brexit means Brexit,” today’s paper is a welcome sign of a subtle but significant change of approach. 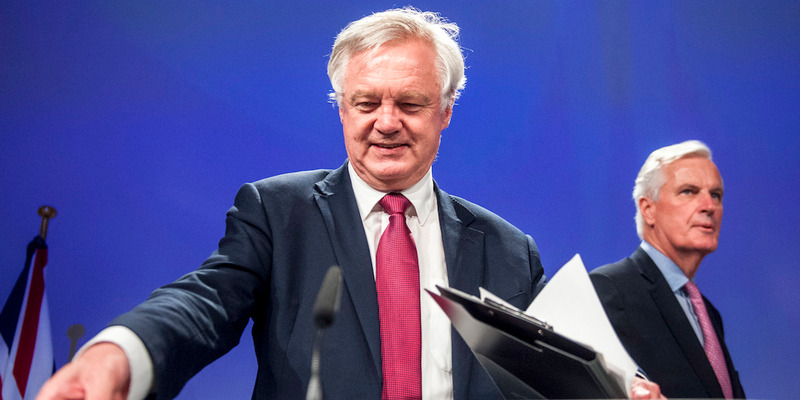 The government may only, in the words of Justice Minister Dominic Raab, be keeping “half an eye” open to the need to maintain a close relationship with the EU, but deciding to keep one eye half-open is infinitely preferable to continuing to turn both blind eyes away.